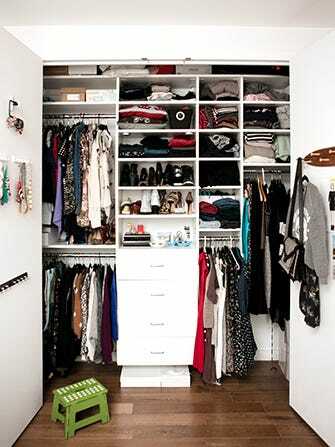 One of the many dreaded and long-avoided chores included in the big, annual spring clean is the closet purge. Like a good dietary cleanse, ridding ourselves of excess and the unnecessary is a good thing — healthy, even. But, unlike gulping down green juice, we're talking about tossing our clothes — ones that can be hard to part with, no less. And, we're not willing to sell our favorite (and, now, too-small) leather jacket to just any online marketplace. Thankfully, we've found some guidance in the list of top-ranked resellers, curated by Teen Vogue. The thriftiest on the lineup is SNOBSWAP, where the experience is like shopping through your best friend’s closet: You take one, you leave one. Of course, you’re still able to buy (if you have nothing to sell) and sell (if you have nothing to buy — unlikely). The site specializes in mass-retailer faves like Topshop, Zara, and Nasty Gal. For those with a few higher-end items to part with, Shop Hers may be your favorite, as it authenticates every designer piece.